We've missed you too! 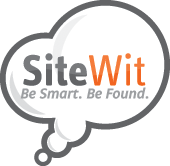 Reinstating a campaign in SiteWit is incredibly easy. When a campaign has been cancelled, we’ll save your ads, keywords, and other preferences. Whenever you wish to start again, head over to the Google Marketing Tab → Manage. Under Cancelled Campaigns, you will have the option to View the content, or Reinstate. Select the reinstate button. You will be asked to confirm the budget you wish to reinstate with.